Send me a billing so I can join this mentoring program. This is NOT your usual branding and influencer marketing training program. Its design took into account various challenges face by YOU in developing your brand and marketing messaging. YOU don't want to be ordinary following what others in the field are doing. YOU strive for creative approaches despite limited resources. Communicate what makes YOU different rather than "who is better". YOU push your market to re-think assumptions and explore new ways. Schedule of training is by appointment. For inquiries, you can contact Janette Toral at +639174490011. 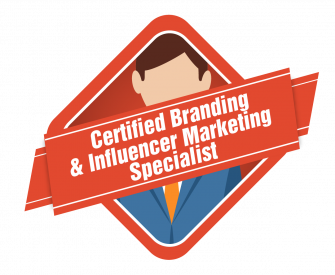 Participants will have an understanding of how to use these influencer branding, messaging tactics, and digital marketing tools in their work and with others. Know your Fascination Advantage® and apply it to influence others and communicate at your best. Leverage your Advantages and create a personal brand that stands out through their differences. Learn about your communication `red flags` and how they could be turning people off. Describe your value in 2-3 words by creating an Anthem; also known as a personality tagline. Build an Influencer team comprised of people working well together. Solve real work situations and generate team sourced ideas using the Fascination Advantage®. Understand your team’s core strengths, communication style and how as a team you`re most and least likely to solve problems, deal with conflict and achieve results. Address marketing challenges using brand tactics. Develop a messaging tactic to communicate with various personality archetypes. The Fascinate system is based on studies with over 700,000 professionals, in a range of industries and departments, including over a thousand C-level executives. With over a decade of research, the system was developed by world-class branding leader, Sally Hogshead whose research aimed to discover your personality`s highest value, through the science of fascination. How do you add value to others? Achieving Hallmarks of a Fascinating Brand. Selling to the 42 Archetypes. Whether you are making a 15-minute presentation or an hour-long keynote, your ability to connect and communicate will be essential to effectively getting the audience to take action and move forward. Selling is essential for any business or profession. Whether you are looking for new business or applying for a new position to advance your career, unless you know how to sell, you will not have a successful outcome. Put another way, “nothing happens until someone sells something”. A great opportunity for sales professionals to gather around the table to learn and grow from one another. Using sales, communication and leadership principles from John Maxwell, this game will challenge players to become more relational and less transactional in their approach to selling. You will come away from the table with a better understanding of how to connect with potential buyers and discover best practices to improve sales results. The Communication Impact Report will help you discover your style of communication and ways to maximize it. Im the workshop, we will dig deeper into the results of your report and discuss ways to leverage your communication style to improve your ability to connect and add value to others. Complete a Personal Branding, Anthem, and actual application case study. Complete a 42 Brand Messaging Tactic. Each participant will receive a How to Fascinate® Training Handbook. Ongoing email follow-up specific to their assessment results, supporting and building their understanding and confidence in using their Advantages. Participants are entitled to 2 consultation session via face-to-face meeting or online meeting or phone call per module. Full Fascination Advantage® team analysis with a 1 hour Manager post training debrief per module. The FEE for this training program is thirty-five thousand pesos (P35,000) or ten thousand pesos (P10,000) per module. Participants who take the full program and pay in full will get a copy of Sally Hogshead's books -- a) How the World Sees You; OR b) Fascinate. 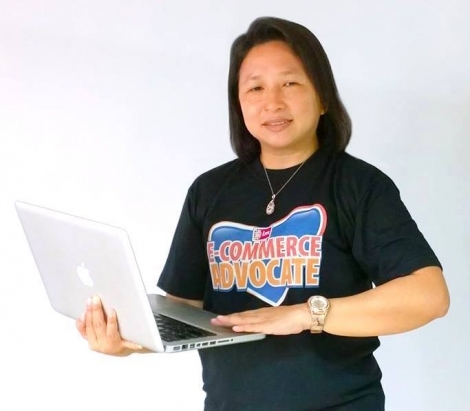 Help MSMEs develop their brand profile and anthem. Help MSMEs establish their marketing pillars and to communicate in various forms of media to connect to target audience. Help e-commerce and digital influencer students to develop their personal and project brands to stand out from competition. Develop her own brand messaging since 2010 and still using to this date. Profile customers to create service offerings, identify relationship management style, & which profile drives revenue streams. Hi. I'm Janette Toral. An E-Commerce Advocate, Digital Influencer, Fascinate Certified Advisor, Independent Executive Director / Certified Teacher, Coach, Speaker with The John Maxwell Team. At my highest value, at my best, I deliver independent insights through mentoring, training, consulting, influencer engagement, marketing campaigns. I can be reached at +63-917-4490011 or through Facebook private message. This training is rolled out in collaboration with AIE College (Dagupan City). Official receipt and certificate shall be issued by AIE College for this learning program. "For an enthusiast like me who is so passionate in many things and have various interests, describing who I am and what I do used to be challenging until I took the Fascinate Advantage Assessment® . While the report was very helpful in understanding how the world actually see me, I must say that I only got the clearer picture of who I am and how i fascinate the world when I had the one~on~one consultation with Janette. She did not only explain the result but she also let me understand profoundly. She assisted me in identifying what I am good at based on the languages I speak, prestige and passion. With her thought provoking questions, I was able to see things clearly and came up with an anthem that best suits my personality and profession. She patiently guided me in highlighting my strengths and weaknesses so that I can easily express what I can offer to the world using powerful words that really reflects me. Now, I am not lost for words when people ask me what I do or who I am. Yes, I'm still the enthusiastic professional who wears many hats but at the very core of it, this is who I am. "I'm an inspiring storyteller. At my highest value I provide insightful experience and deliver expressive influence." Ever since I took Fascinate Advantage Assessment® three years ago, the outcome in using its resulting personal anthem has been a thing of beauty. I primary leveraged my "The Intrigue" personality and its complementary anthem in my cover letters that caught client's attention and eventually grabbed the dream projects and jobs I was aspiring for. With the success I had in using the anthem from the Fascinate Advantage Assessment®, I've integrated it in my professional website, client proposals, and marketing collaterals. When I learned that there is a formal How to Fascinate Training to build an influencer brand, it was a no-brainer for me to enroll in order to further hack my personal brand. With the projects I plan to pursue, I am sure to better market my personal and startup brands I am building through the deeper assessment of my fascination advantage. If you want to pitch yourself to your dream jobs or if you want to pitch your brands to clients and VCs, you’ve got to enroll in this course. Fascination Advantage®, Discover How The World Sees You®, and How To Fascinate® are registered trademarks of How To Fascinate and/or Sally Hogshead. Each of the 7 Fascination Advantages and the 49 Fascination Advantage® Archetypes are trademarks of How To Fascinate and/or Sally Hogshead. All other trademarks and copyrights are property of their respective owners.